Nothing leaves me feeling quite so nostalgic as taking down the old calendar and hanging up the new one. Expired trends, outdated styles, dropped habits, and deeds yet to be done aside; good times, spent with old friends are some of the best memories which I can recall. Think me insensitive, call me a jerk, but some of my dearest companions have ridden on radial tires and many of my best comrades have spoken to me through the muffled tones of a high-performance exhaust system; they have been there when I needed a therapeutic release, gently cradling me in steel, leather, and even vinyl, as they reluctantly accepted my advances. Advances which tested their mechanical resolve and overloaded the threshold of their abundant prowess, though carefully and meticulously prepared. Cars — fast cars, hot cars, beautiful cars — some of my oldest, dearest, and most faithful friends. With the coming of 2014, I would like to say Happy New Year and Happy 50th Anniversary, to a particular old friend, who is very special to me. She is as well known for her own curves as for the ones which she attacks; approaching with a whisper and exiting with a shout. A whisper, which seeks to engulf you in a hypnotic state of tunnel vision that spurns you on, encourages you to press the accelerator harder, faster. On and on, until you play a part in her melodious tone, until you become one. High-strung, yet at the same time infinitely refined; she beckons, subtly listing into the corners and then begging for more as she bites at the ground. 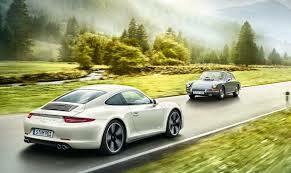 She is the legendary sports car known as the Porsche 911. Introduced during the 1963 Frankfurt Motor Show, the successor to the popular Porsche 356 sports car began production in February of 1964. The Porsche 911 (pronounced nine-eleven or Neunelfer, in German) carried on the Porsche tradition of high-line, air-cooled, rear-engine, rear-wheel driven sports cars available as a coupe or Cabriolet. Powered by a six-cylinder boxer engine, the base model 911 was significantly stronger than the 356, at 128-hp. The wealth of mass-production knowledge garnered from the 1930s until the inception of the 911 paid dividends in the dramatic performance and handling improvements over the 356. The Porsche 911 S (which stands for Super) benefited from an engine upgrade which netted an increase of 30-hp, giving the Super 160-hp. Chassis and brake upgrades were also standard on the S car, which featured custom Fuchs alloy wheels. The Porsche 911 Normal and Carrera models were still available. 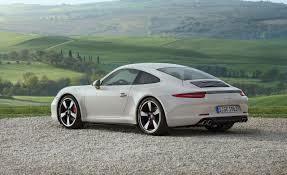 This RS, or Racing Sport, version of the 911 Carrera is thought to be the best of all. 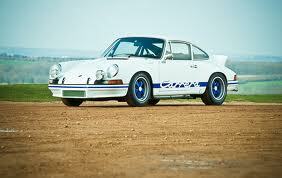 The Carrera line, which featured DOHC engines with more horsepower, were much more expensive than standard 911 models. These cars were race-ready “right out of the box.” The ’73 Carrera RS was fitted with a 2.7-liter engine that made 210-hp, a stiffened suspension, larger brakes, and lightweight body panels. The tradition of air-cooled engines continued in the 911 until 1998, when it was replaced with a water-cooled motor. 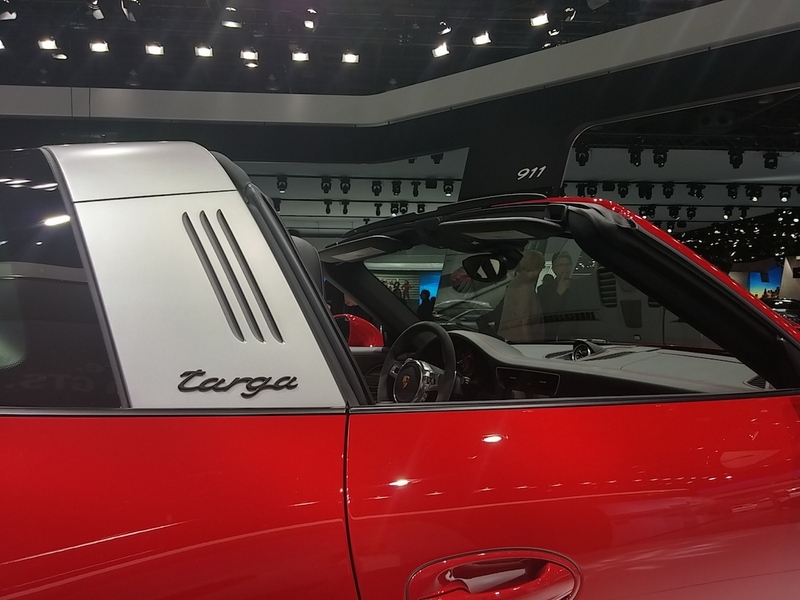 Monumental improvements in horsepower, handling, and accouterment have joined the 911, as it has made this fifty-year journey through automotive history. 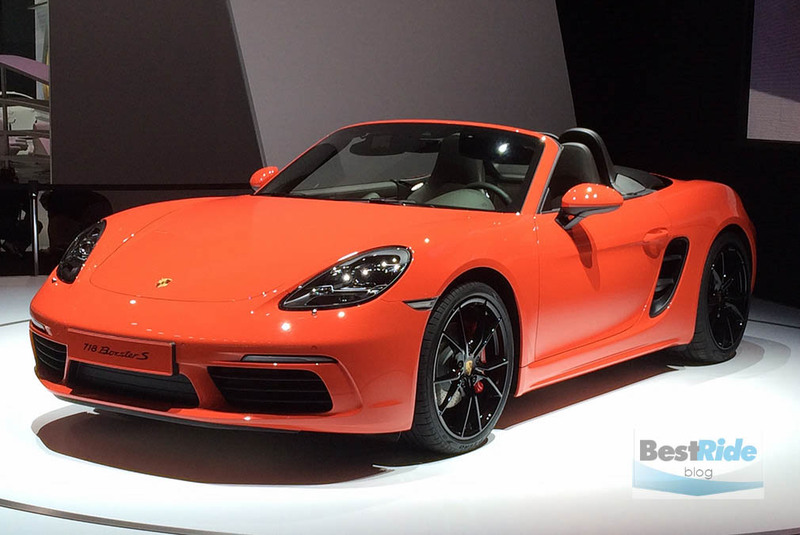 Porsche 911 models, which are currently in production, will literally run circles around older models that were considered state-of-the-art in their day. The 50th Anniversary 2014 Porsche 911, available in three vivid colors, is on sale now at your local Porsche dealer.